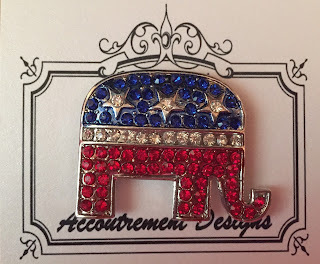 Great pins to wear at any political event not just as a needle minder for your project. 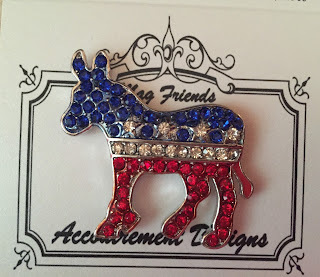 A great gift for any politico. Are you on the fence, in a split household or just like Elephants and Donkeys? Get both! Informal poling taking place for fun!